I love using K cups because I can have any flavor hot beverage I want super fast. There are so many coffees to choose from. 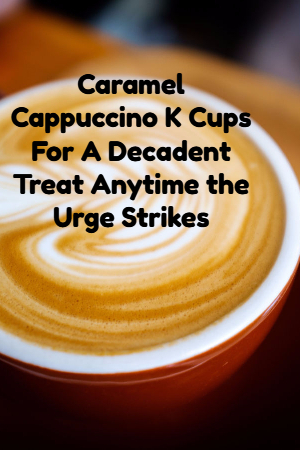 My favorite is fast becoming caramel Cappuccino k cups. They taste so delicious. I consume quite a few of these and was concerned with how many calories they have. It turns out any brand has about the same calories which averages about 80 per k cup. That is probably a lot less than a regular Cappuccino has. I love that I can get such full flavor from a k cups amd never have to worry about making a mess trying to make such a fancy coffee in my kitchen or at work for that matter. Since my office has a machine I always use my own caramel k cups if the supply has run out there. I try to keep my intake down to about two per day knowing that those calories can add up if I am not careful. I did not notice that there was much else in the way of nutrition with the k cups. Still, for the flavor and convenience they offer it is better than a coffee shop.